The move aims to cut down on fraudulent injury claims. AXA Insurance customers will be offered a 10% discount on their car insurance if they install a Nextbase dash cam in their vehicle. The insurance company announced the incentive as they launch an exclusive partnership with Nextbase. 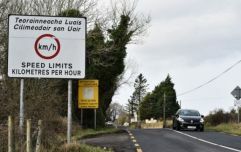 The aim is to allow Irish customers save money on their insurance premium and help protect motorists when liability in an accident is under dispute. Ultimately, the presence of a dash cam in a vehicle is aimed at reducing the amount of fraudulent claims that are made while establishing any level of liability in the event of a crash. The presence of a dash cam also helps protect a customer’s no-claims discount after a non-fault collision. Aside from this reduced insurance premium for Axa customers, Nextbase will also be selling their dash cams for 10% cheaper at the following retailers: Halfords, DID, Powercity, Expert Electrical, Micksgarage.com, Euronics Electrical, Soundstore and Sam McCauleys nationwide. Antoinette McDonald, Partner and Customer Experience Director at AXA, said: “Unfortunately, motor collisions are a regular occurrence on Irish roads and it is often the case when settling these claims that witness accounts may not exist or may vary or it can take time to obtain Garda evidence." "Dash cams offer a great way for drivers to get extra peace of mind when they are on the road and can be helpful resolve issues when liability is disputed. This partnership with Nextbase provides AXA customers with peace of mind along with savings on both the cost of their insurance and the cost of purchasing a Nextbase dash cam,” McDonald added. Nextbase dash cams are priced between €69.99 and €299.99.